The Voyage Out is the first novel by Virginia Woolf, published in 1915 by Duckworth; and published in the U.S. in 1920 by Doran. Rachel Vinrace embarks for South America on her father's ship and is launched on a course of self-discovery in a kind of modern mythical voyage. The mismatched jumble of passengers provide Woolf with an opportunity to satirize Edwardian life. The novel introduces Clarissa Dalloway, the central character of Woolf's later novel, Mrs. Dalloway. Two of the other characters were modeled after important figures in Woolf's life. St John Hirst is a fictional portrayal of Lytton Strachey and Helen Ambrose is to some extent inspired by Woolf's sister, Vanessa Bell. 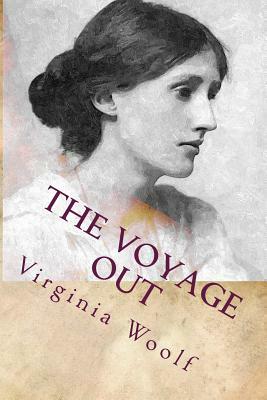 Woolf originally began work on The Voyage Out in 1910 and had finished an early draft by 1912. Yet the novel had a long and difficult gestation and was not published until 1915. It was written during a period in which Woolf was especially psychologically vulnerable.